The recent 20% increase in planning application fees–the first for five years–highlights the gap between the cost of regular planning applications and those under permitted development rights (PDR). Alongside government plans to extend PDR to include demolition of offices for residential new build, this could trigger a renewed appetite for PDR. Alex Bateman, Head of Planning at SHW, points out that the new flat rate for an office-to-residential conversion under PDR is £96. This contrasts with, for example, a full application fee for development of a brownfield site for 10 flats of £4,620 (£462 per flat). 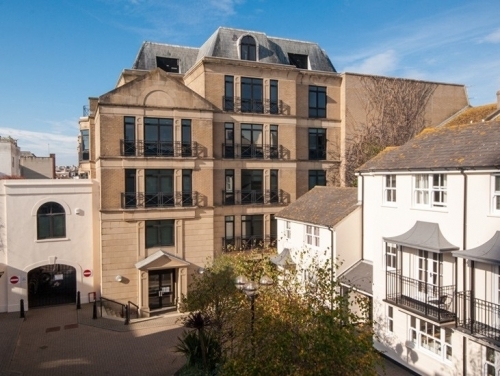 Although the level of PDR office-to-residential conversions has fallen as the most viable properties have largely been taken up (such as Russell House, Brighton, above) the government is now consulting on extending PDR to include demolition of offices for residential new build. Alex believes that this could bring forward a second wave of office buildings that are poorly configured for residential conversion but sit on potentially valuable sites and are ripe for demolition. SHW’s own research identifies eight office buildings in Brighton, totalling just under 250,000 sq ft, that sit outside the council’s Article 4 direction (restricting PDR) and could be candidates for demolition and residential new build once leases fall in. In principle, office demolition under PDR opens many advantages to the residential developer including design flexibility, increased level of development through use of the car parking area or a revised internal layout and potentially larger individual units. However, Alex concedes that much depends on theconditions attached to the PDR extension which may include such issues as contamination, flooding, space standards, massing and height. No closing date has been given for the consultation, but it is possible that the new PDR could become effective as early as April.